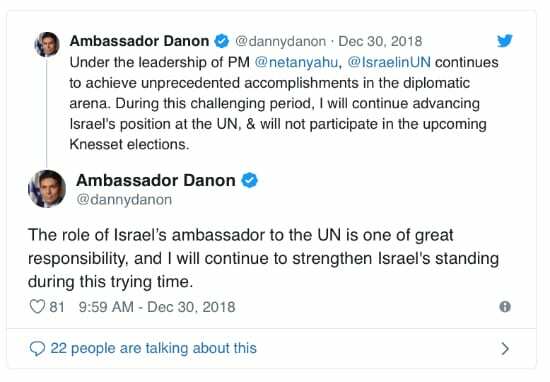 (JNS) Despite reports of his quitting, Israeli Ambassador to the United Nations Danny Danon announced on Saturday that he is staying at Turtle Bay and will not run for Knesset in the April 2019 elections. 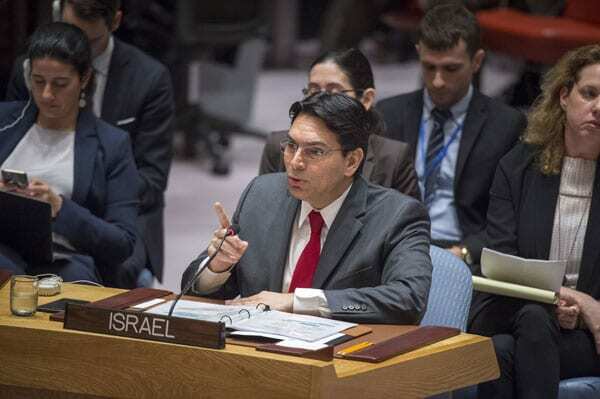 Danny Danon, Israeli Ambassador to the United Nations, addresses the Security Council meeting on the situation in the Middle East. Positions include, but aren’t limited to, blocking attempts by the Palestinians for full state membership at the United Nations, in addition to the constant anti-Israel bias in the world body.